Billy Monger has taken his maiden pole position in BRDC British Formula 3 on his first visit to Donington Park since his life-changing accident last year. 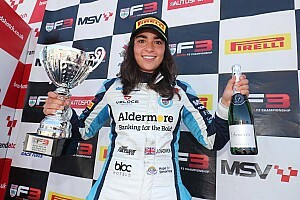 Jamie Chadwick has taken her maiden win in the BRDC British Formula 3 Championship at Brands Hatch to become the first woman to take a victory in the series. Billy Monger says he never believed he would finish on the podium on his racing comeback after taking third place in the BRDC British Formula 3 opener at Oulton Park. Billy Monger scored a podium finish in the opening race of the new BRDC British F3 Championship season at Oulton Park on Saturday. Billy Monger will make his racing return this weekend in the opening round of BRDC British Formula 3 Championship at Oulton Park. 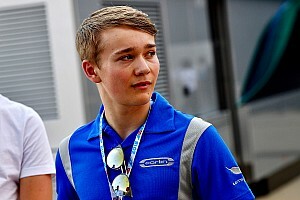 Billy Monger believes he is “not too far away” from securing a return to racing in the BRDC British Formula 3 Championship this year after completing more testing with Carlin. Billy Monger has completed his first day testing single-seaters as he plans to return to racing after his horrific British Formula 4 crash last April. 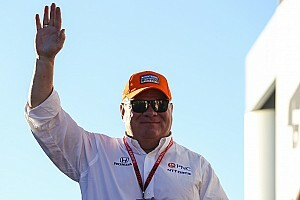 Manuel Maldonado, the cousin of Formula 1 race winner Pastor, will compete in the BRDC British Formula 3 Championship this year. Former British GT class champion Jamie Chadwick will race single-seaters in 2017, having joined the ranks of the BRDC British F3 series. Matheus Leist has been crowned the 2016 British F3 champion after chief rival Ricky Collard crashed twice during the season finale at Donington Park. Championship leader Ricky Collard notched his fifth British F3 win of the season at Snetterton, seeing off an early challenge from title rival Matheus Leist in race 3. Force India development driver Nikita Mazepin scored a victory on his debut weekend in British F3, taking the winning honours in the second race at Snetterton. Championship leader Ricky Collard cruised to victory in the opening British F3 race at Snetterton, surviving an early safety car period to extend his advantage at the top of the standings. Carlin’s Lando Norris scored a double win in the sixth round of the British Formula 3 Championship, with Thomas Randle also picking up a victory at Spa-Francorchamps. 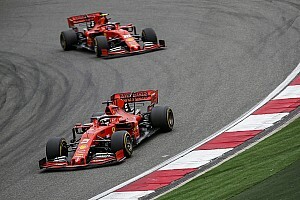 Matheus Leist and Toby Sowery shared wins in the fifth round of the British F3 season at Silverstone after the final race was abandoned due to heavy rain. Carlin's Ricky Collard extended his championship lead to 37 points from second-placed Thomas Randle after winning two of the three races of Oulton Park's British F3 weekend. Carlin's Ameya Vaidyanathan escaped a horrific crash in Race 1 of the British F3 round at Oulton Park unhurt. Ricky Collard extended his championship lead, after winning the final race of the Rockingham weekend, starting from second row of the grid. 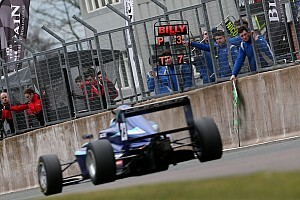 Thomas Randle took his maiden British F3 win, in Race 2 of the Rockingham weekend, having started from fifth on the grid. Lando Norris secured his second win of the British F3 season, in the opening race of the Rockingham weekend, ahead of teammate Ricky Collard. Lando Norris marked his return to the British F3 fold by taking pole from teammate Ricky Collard at Rockingham. Carlin’s Colton Herta cruised to maiden win in the final race at Brands Hatch, despite his advantage being wiped out after a red flag interruption and race being shortened to five laps. Championship leader Toby Sowery made a rocketing start from sixth on the grid to clinch a dominant victory in the second race at Brands Hatch.